REDUCED PRICE TO COORDINATE WITH THE BUY 3 GET THE 4TH FREE SALE ON THE 6X8MM TEARDROP BEADS! You should know how to braid the Kongoh-gumi Z spiral and how to drop beads before beginning this design. 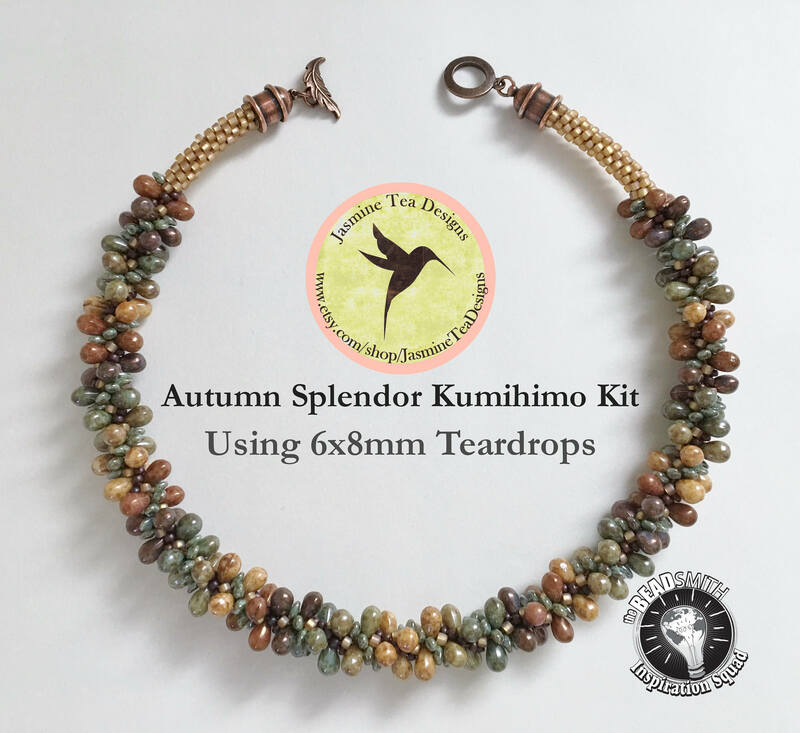 The Autumn Splendor Kit and Bead Loading Sequence is a design by Diana Miglionico-Shiraishi for Jasmine Tea Designs. Creates a 19 inch necklace and can be made shorter or longer by increasing or decreasing the seed beads. This kit provides bead loading directions, tips and trouble shooting information. This kit does not provide kumihimo instruction.